Building, sharing and collaborating around gantt charts is a breeze with TeamGantt. Gantt charts are what got us started, so they are in our DNA (and our name!). 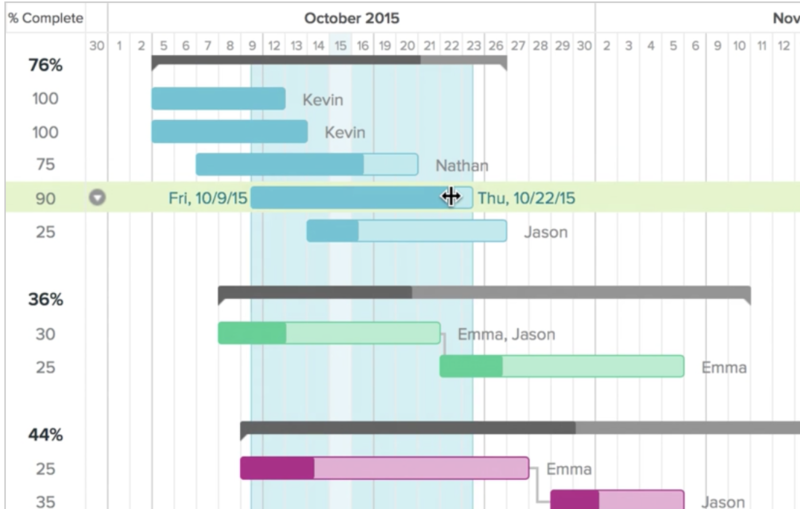 Our gantt charts are built to be super easy to build, update and share. They are also attractive enough to share with your clients. 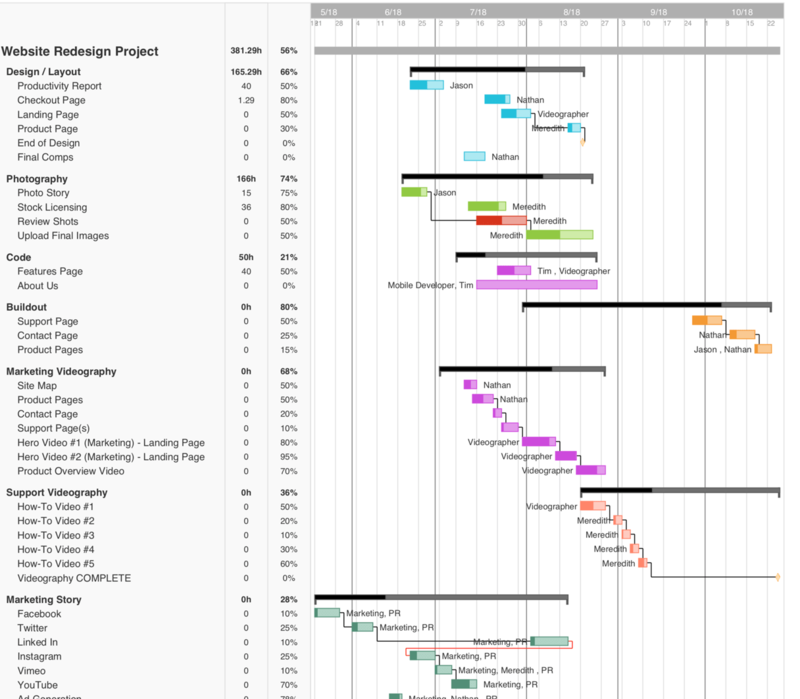 Our goal is to provide powerful collaborative gantt charts without over complicating things. Whether you are looking for a full fledged project management and communications tool, or you are just looking to build a quick chart and nothing else or a simple MS Project alternative, TeamGantt fits the bill. Creating a gantt chart in TeamGantt is extremely intuitive. Even those who have never used a gantt chart can use it. Simply create a task and drag the bar to cover the dates you would like. Our charts are also easy on the eyes, so you can share them with pride. Export to pdf or embed beautiful project timelines.Stop wasting time custom designing your own timelines or sending out cringeworthy charts. You can also use our online gantt chart to create beautiful charts for your RFP. Tired of switching between projects? With TeamGantt you can view multiple projects in a single gantt view. Making it much easier to see the big picture. Simply select as many projects as you would like and hit display. It’s fairly likely that a few of your projects will resemble one another in structure It can get tedious to have to re-create a chart at the beginning of a new project. This is why we created templates. You can save any project as a template. This makes it fast and easy to spin up a new project of similar structure. No need to start from scratch. Things happen, projects don’t always finish on time. But it’s important to see just how far your projects have drifted from the original plan. This is where baselines come in. You can easily create multiple baselines in TeamGantt to see how your project has drifted from your original plan over time. Just can’t break that spreadsheet addiction? Its cool, we get it. 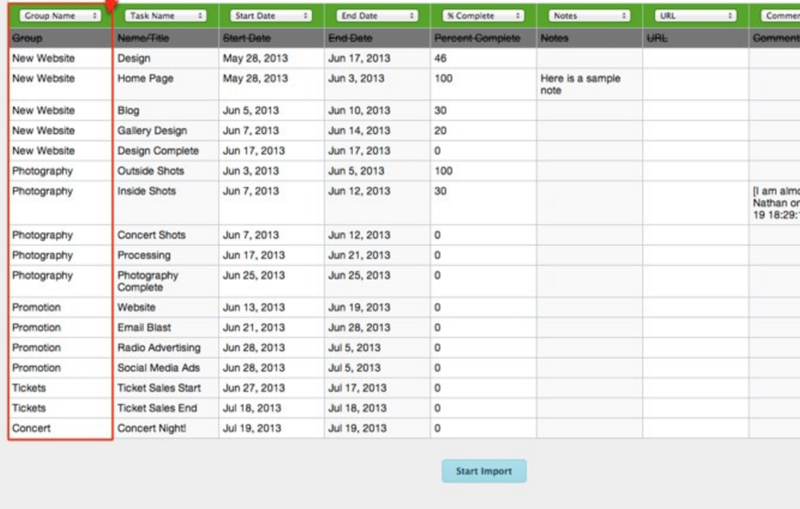 If you prefer laying out your project first in a spreadsheet, you can then import it as a CSV to build out your project. This is also a great way to get a project started if you already have data in another application that you would like to move into TeamGantt. So a client wants to see the project timeline? Do not fear, with TeamGantt you can export attractive project timelines to PDF or embed them in a web page. Stop wasting time custom designing your own timelines or sending out cringeworthy charts.